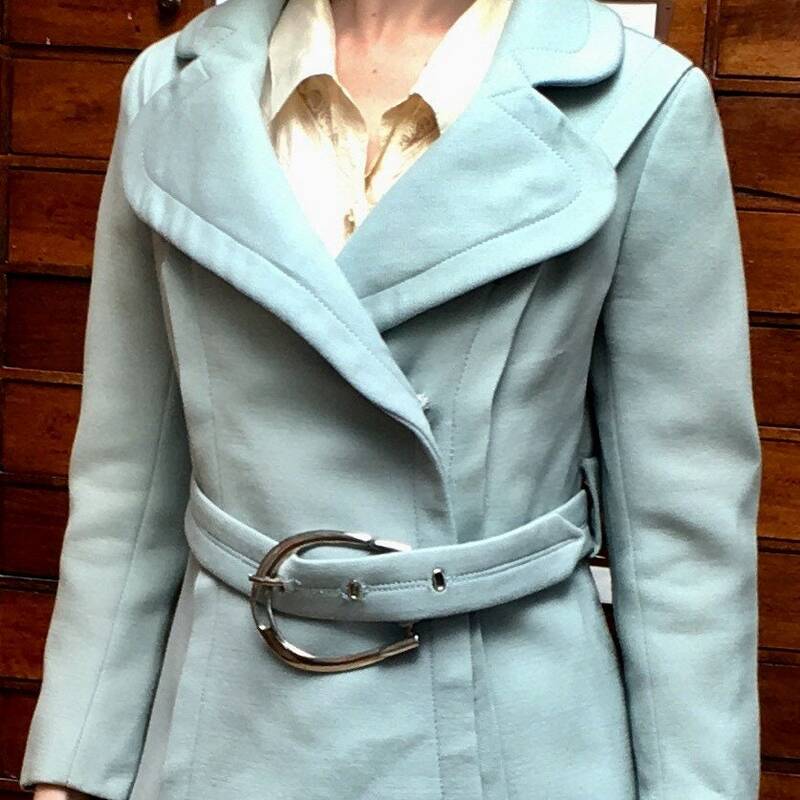 Wool coat from the 50s ice blue. It is a waist belt. Good vintage condition. Size 36-38. Very trendy!